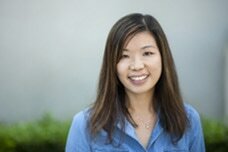 Winnie is a Ph.D. student specializing in Educational Policy and Social Context (EPSC). She earned her B.A. from the University of California, Los Angeles with a major in Sociology and a minor in Applied Developmental Psychology. She continued on to obtain an M.Ed. and a California Multiple Subjects Teaching Credential from the University of California, San Diego. Winnie’s research interests lie at the intersection of developmental psychology, early childhood education, and policy. Her interests stem from working with children in various capacities, including research assistantships at the Child Attachment, Relationships, and Emotion (CARE) Lab at Pomona College and at MAPS 4 College, a mentoring program for low-income communities. However, it was her five years as a teacher at the Child Educational Center in La Canada, California, that really shaped her research interests. Implementing a developmentally appropriate, play- and relationship-based curriculum led Winnie to wonder about the long-term achievement outcomes for children who experience such curricula, the role of non-cognitive skills (especially social-emotional skills and self-regulation) in later success, and the possible effects of applying this type of curriculum to programs that serve different demographics. When she is not playing with children or learning about them, Winnie is an avid eater and reader, and an aspiring hiker, traveler, and photographer.